KFC’s a.m. strategy seems to be failing due to the lack of imagination. Look at McDonald’s, the company has stormed the market with its headline-grabbing free breakfast campaigns. People were seen queuing at McDonald’s outlets since early morning to get their share of freebies. Yours truly was one of them. What the McDonald’s breakfast campaigns have achieved after giving out thousands of free burgers was to make consumers warm up to the idea of having burgers (US: breakfast sandwiches) and coffee/tea for breakfast. With the trial, the US fast food giant hopes to turn unique consumers into repeat users and better use of the underutilised morning daypart. 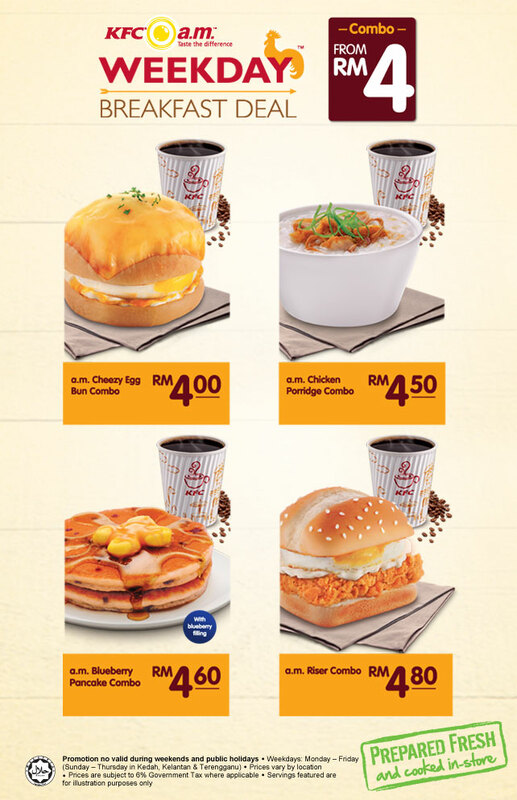 KFC conducted a very much muted campaign by giving away vouchers for discounted breakfast meals as part of its March 2013 breakfast deals. However, the breakfast meals were not free and as a result of that it failed to excite consumers. Getting the coupons itself was a tough job too. The two contrasting marketing styles mean that consumers are more aware of McDonald’s breakfast offerings as many have tasted them through the free breakfast promotions. What KFC needs to do is to promote its breakfast fares to consumers and one of the best ways is to have a free breakfast day. Alternatively, localisation of food can help drive visit. Porridge has already appeared in the breakfast menu of KFC, followed recently by McDonald’s. Malaysians love their nasi lemak. So why not introduce a Colonel Nasi Lemak Combo served with KFC chicken and sambal? What about soft boiled eggs with coffee and hash brown? 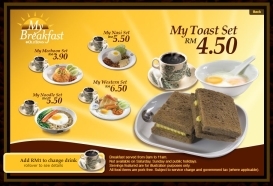 OldTown is doing quite a good job with its affordable breakfast sets. Therefore, there are still a lot more KFC can do to make breakfast really interesting. Next articleMaggi Magic Meals – Locally Inspired ?